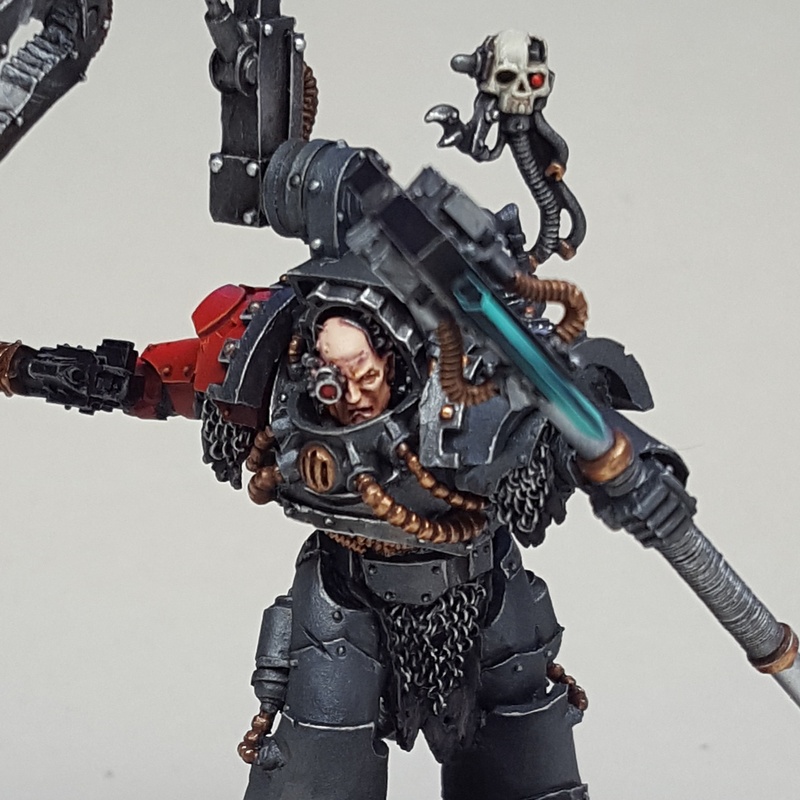 Continuing the theme with another character, here is my Iron Father conversion. The model is based on the Callas Typhon figure with the overly obvious Death Guard styling carefully removed. 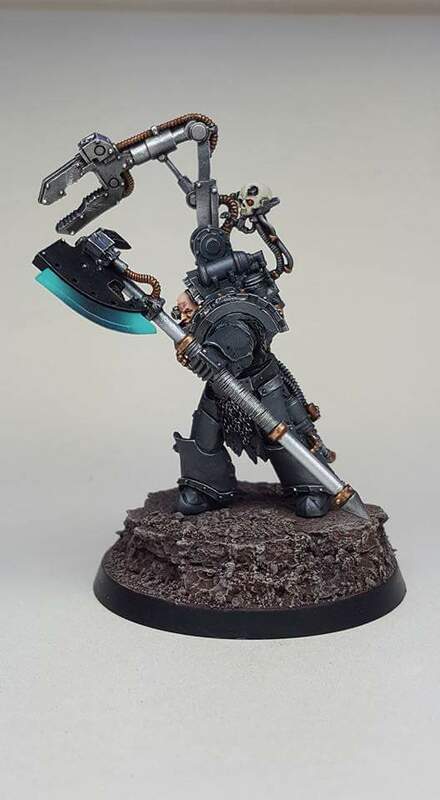 The servo arm is from the Forge Worlds own Iron Hand Iron Father model, carefully removed and attatched to the Typhon body, which is a lot easier than it sounds. For the axe, I chose to construct my own from scratch. Using brass rod for the main shaft, I added blades from a Gorgon Terminator axe head. The spike at its base is from an old plastic Chaos Warrior kit. A strand of electrical wire was wound around the haft for a grip. The right arm wad painted red as per the Clan Morragul theme, the blade of the axe painted to match the rest of my army. 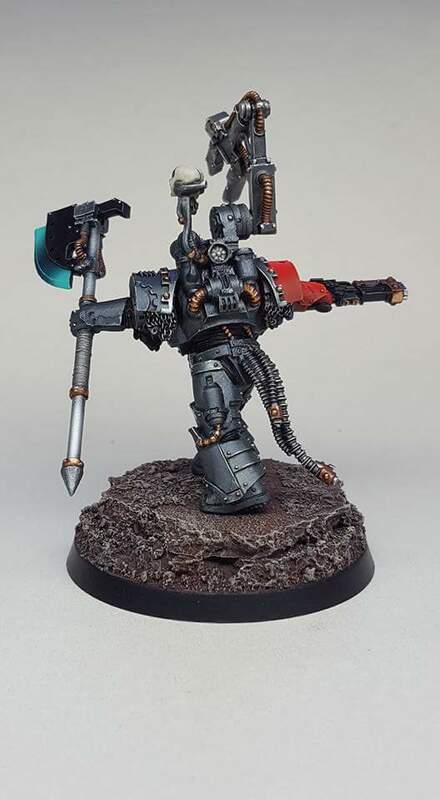 Previous Previous post: Iron Hands Legion Techmarine. 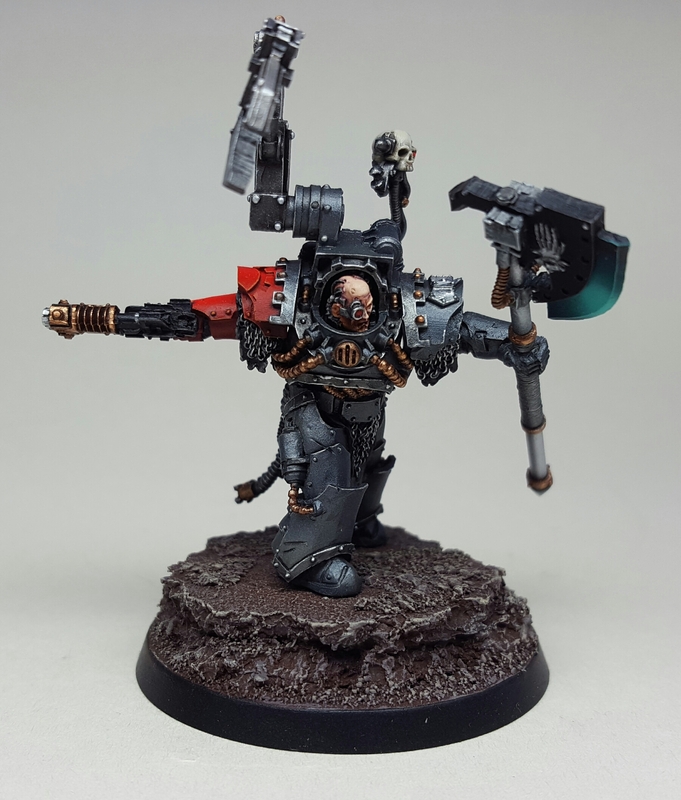 Next Next post: Iron Hands Terminator Command Squad.